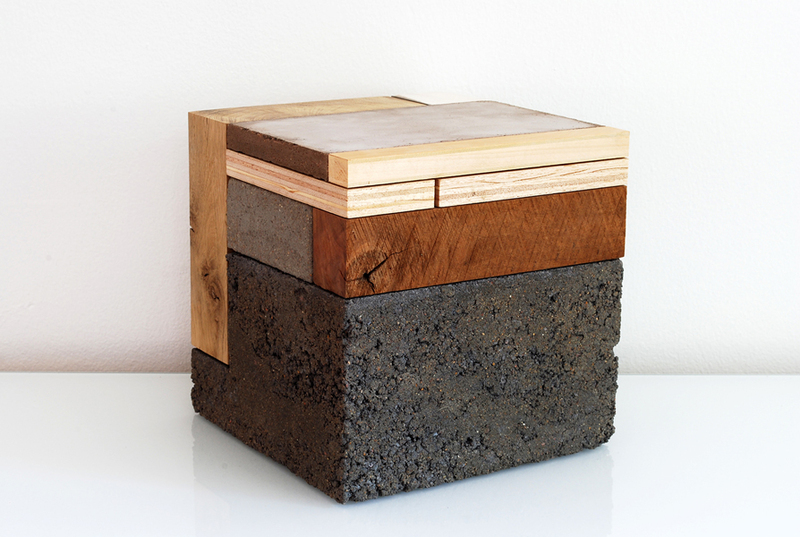 The work in wood, metal, concrete, ceramics done by Phillip Finder is in continuous evolution, let’s see what you think about these combinations with materials and textures!! We have seen your work, and it is really attractive. 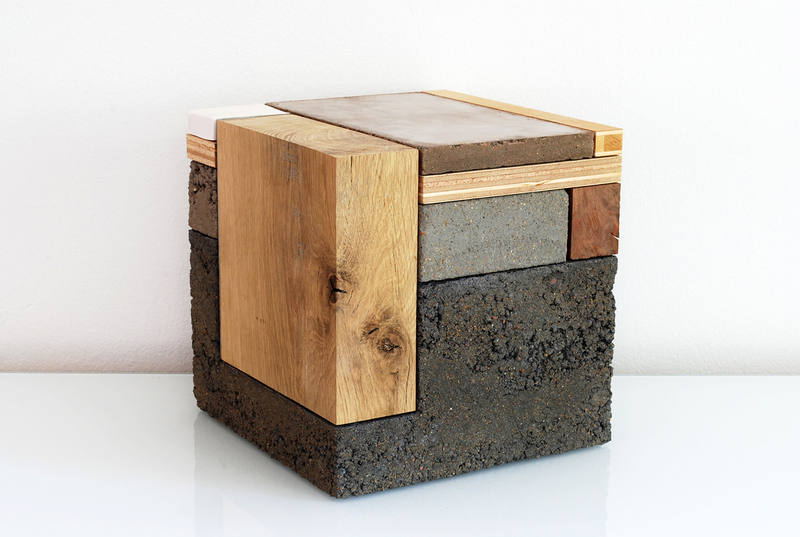 Working with different materials, clay, wood and concrete, how do you define your work? 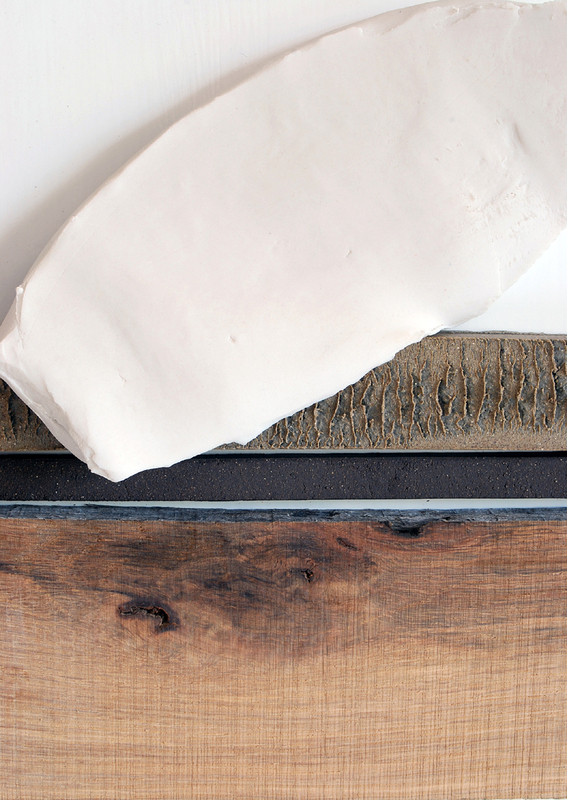 Materials are the foundation of my exploration as an artist. 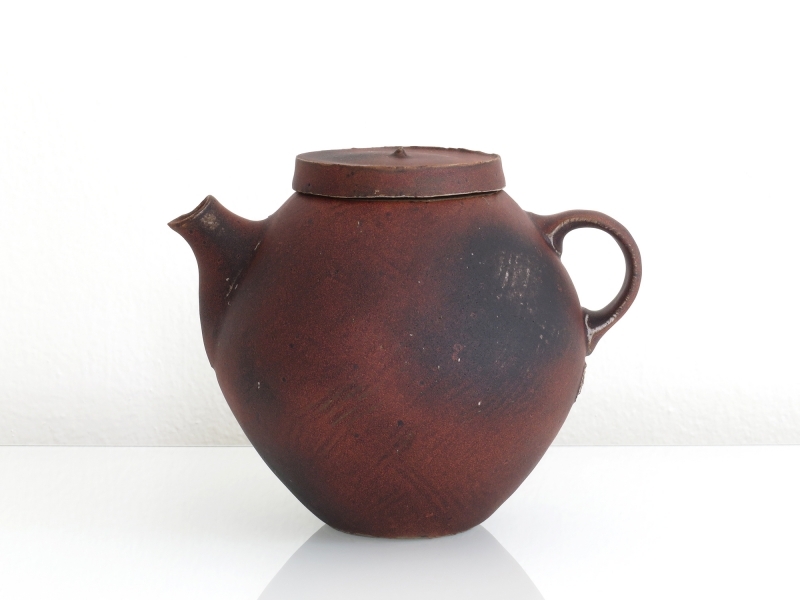 That said, I see myself as a clay artist that uses other materials to give context to my work in clay. 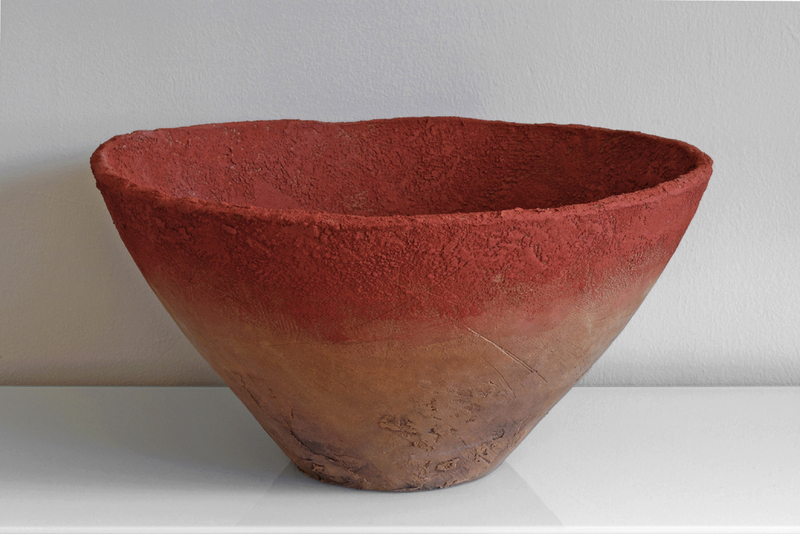 For example, I think we can better understand what a rough red clay is and means when it is paired or grouped with a piece of oak or a shiny strip of brass. For the same reason I love seeing my work in someone’s home where it inevitably interacts with other objects that are used or collected. Do you explore and fabricate by yourself? Yes, the craft of making my own work is very important to my practice. All of the micro decisions that happen along the path of production are what uniquely makes my work my own. The feedback I get from working the material with my own hands allows the work to grow and continue to develop. 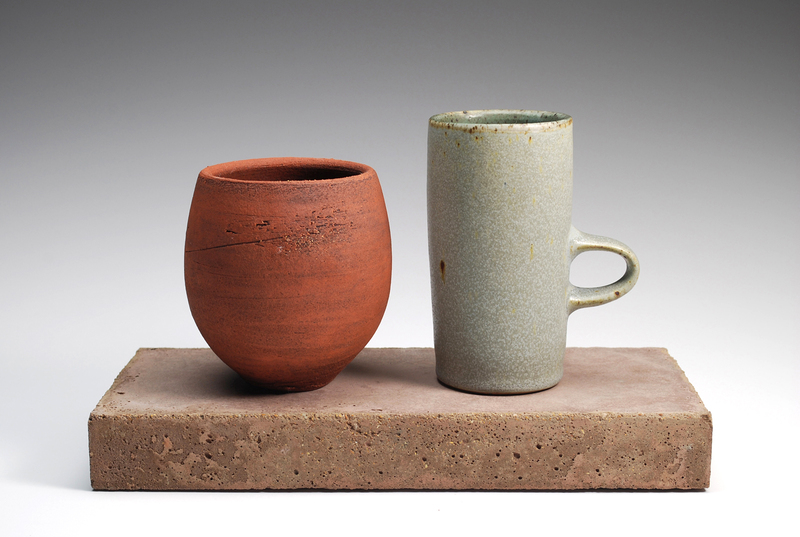 In the spring of 2013 I graduated from Southern Illinois University in Edwardsville , IL, USA with a MFA in ceramics. This was a major achievement for me and became a launching point to become a self-sustaining artist. Because craft is so embedded into my practice, I spent almost six months converting an old brick garage into a functional studio space. I purchased almost all of my equipment used and restored everything into working condition. I’m very proud to call the space my own as it allows me to do most everything from woodworking, welding, sandblasting and clay work independently. 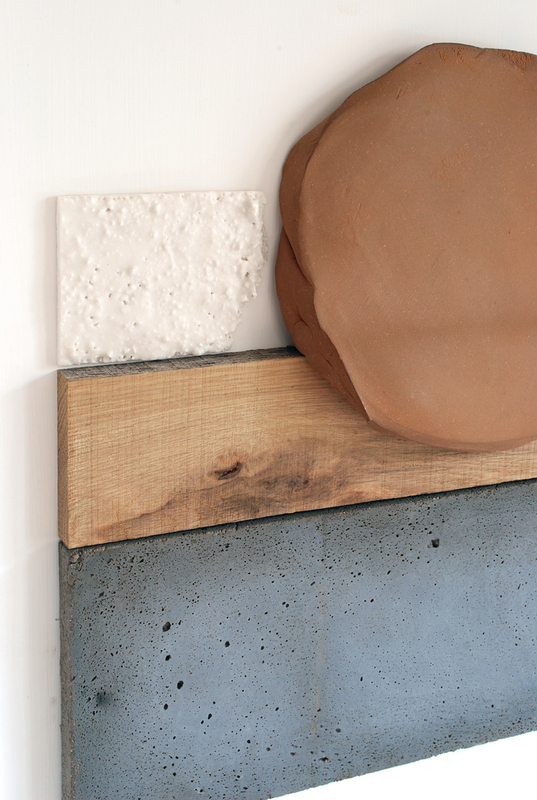 In your work, part of it is functional, and part of it is sculptural, which do you prefer more? That’s a tough question for me. In many ways I see both pottery and sculpture as part of a whole, aside from the obvious, you can’t drink coffee out of a 100-pound sculpture. But the concepts that I apply to my work are in both modes of working. I think about minimizing my forms’ attributes to bring a sense of clarity to the work and I think about my use of material and conveying information through the material choices and pairings. 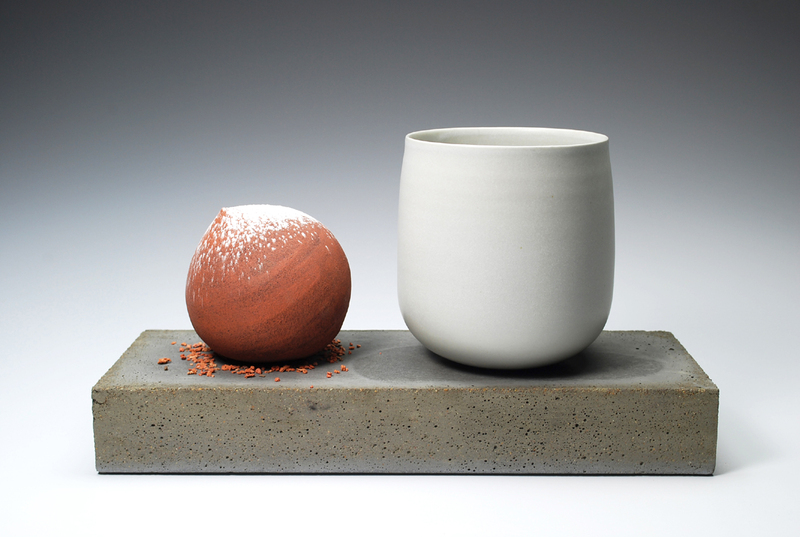 To answer your question I think I am currently very much interested in sculptural vessels rather than tableware that I suppose falls right in the middle of function and sculpture. Working this way I can explore surfaces that may not be ideal for serving food from, but offer a uniqueness not always seen in everyday life. If one needs to, you could always toss your hat or keys into one of these types of pots. What do colors mean for you? Color, for me, is rooted in the material. I work with a lot of different clays: red, white, black, grey, brown and mixtures of all of these. If I can, I let the clay speak for itself in terms of expressing color. 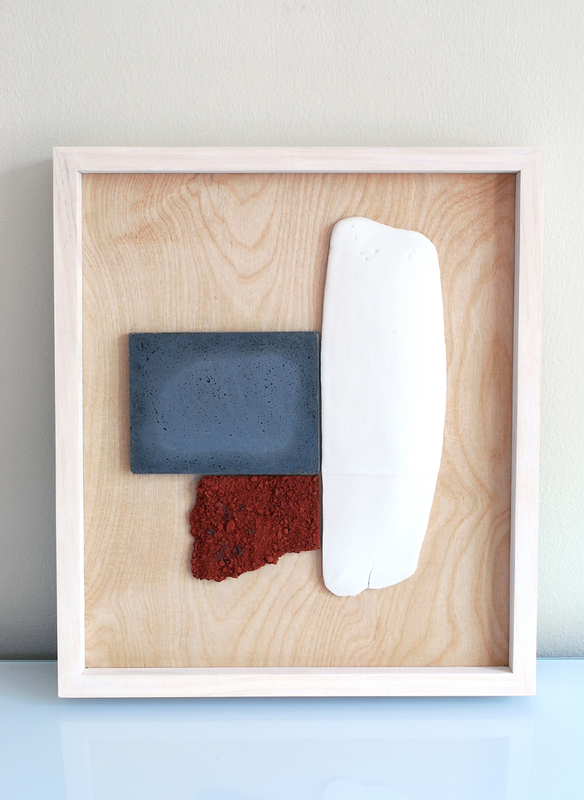 I have been doing a lot of testing to build attractive layers of slips, oxides and commercially available pigments. 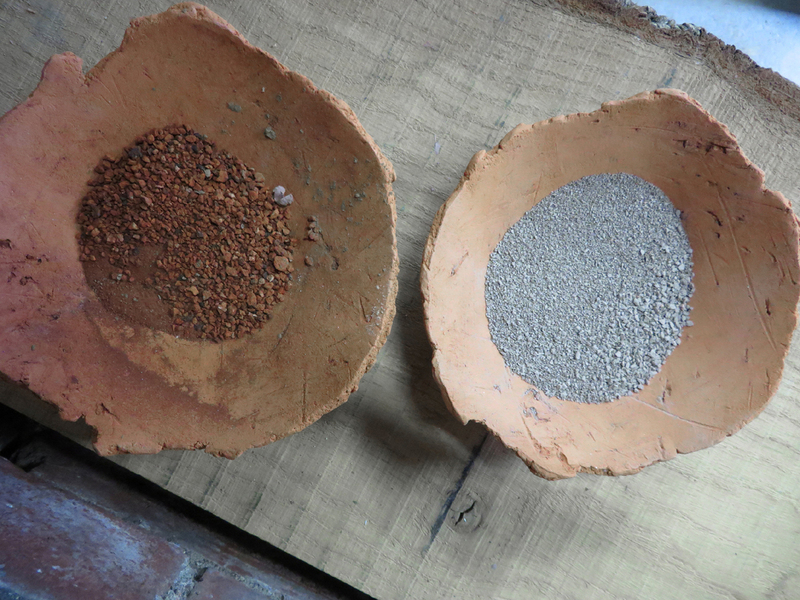 I also collect natural clays and organics that can burn out in the firing. Sometimes I use glaze in my work, but I seem to prefer opaque and matte glazes that appear integrated into the clay itself. 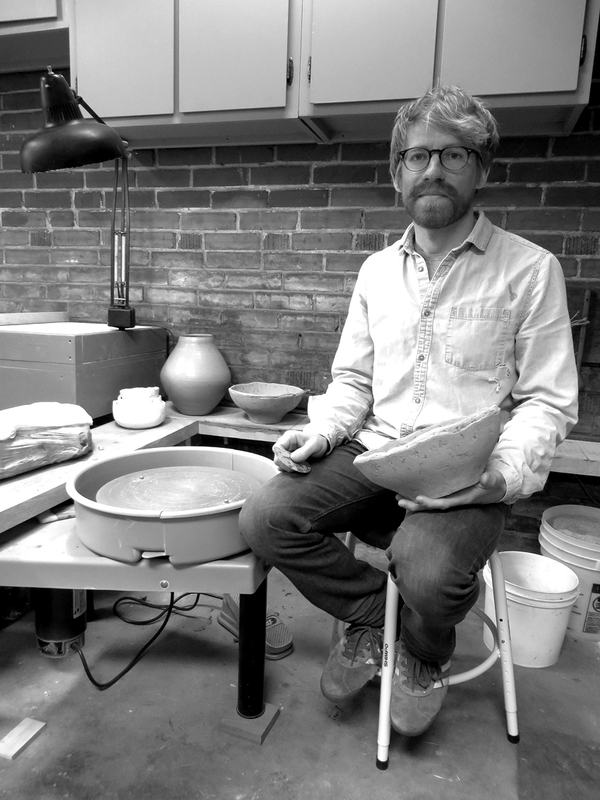 You teach ceramics at St. Louis Community College Forest Park, is there anything that you try to teach to your students, that you did not learn at school? As a young teacher, school is still very fresh on my mind and I can very clearly remember the successes and failures as I explored the medium in the academic setting. I also remember introductory ceramics being very structured where emphasis is placed on repetition to learn the fundamentals of craft. While I still see plenty of value in this approach, I have begun to allow and encourage students to have a bit more freedom while starting out. I want the students to discover on their own terms, and while this sense of discovery is underway, it is my job to offer feedback and suggestions. I also try to encourage the acceptance of their perceived mistakes and to sometimes embrace and use these mistakes to their advantage. Lastly I try to teach students that our work does not need to be perfect, and that small nuances in form and surfaces can make their work stronger. What does teaching mean for you? Teaching for me is simply an ongoing conversation with the students where I bring my experiences and they bring theirs. Together we work on growth. I usually work in a small series. I’ll often start off making a handful of a type of form, each with slight formal variations like proportion, scale, and surface differences. I like to see these through the process and evaluate them after they have been fired. After I have this finished information, I try to make more utilizing the best results until I am very happy with the work. Sometimes I am never quite satisfied and I’ll keep going through the processes. How did you begin? Did you have any commissions to work on? As a general “maker of objects”, I always seem to have plenty of projects to work on, some being commissioned work. 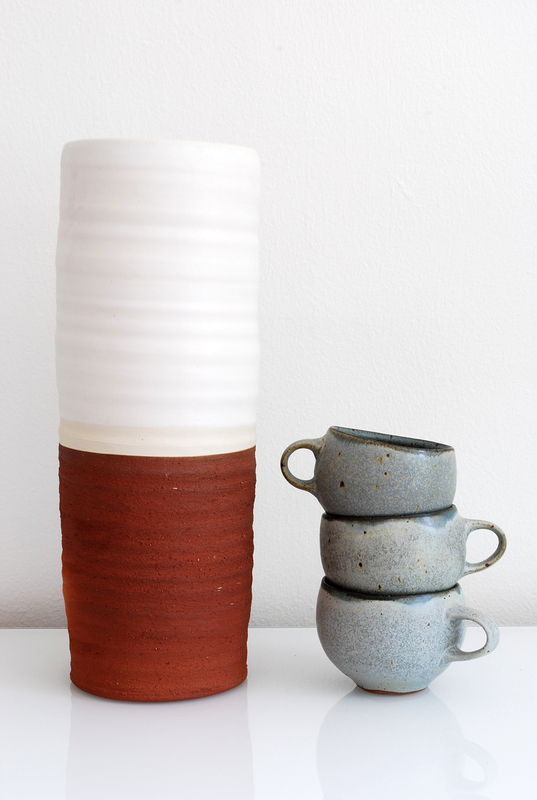 Currently I am developing a line of ceramic vessels that are all fired to cone 6 in an electric kiln. I’m doing a lot of new testing and I hope to have plenty of new work to showcase in the summer of 2014. Was it hard? Have you ever been discouraged? I’m highly motivated right now to finish the aforementioned line of ceramic vessels, but along the way I have had my fair share of setbacks. Some of the surface testing I have undergone has given me unfavorable results, but it only motivates me to keep working at it. 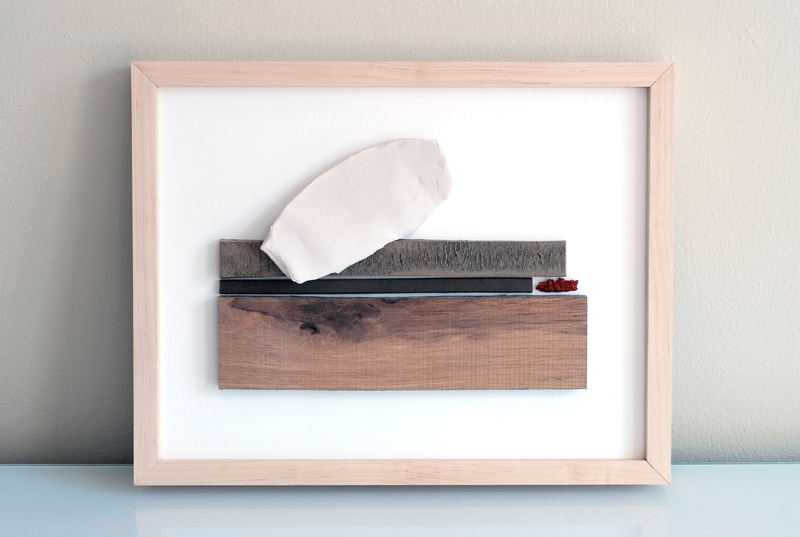 I really enjoy seeing my objects in spaces, such as living or working spaces. I would love to work with other designers where together we can find appropriate settings for my work to reside, even if it is simply for a promotional photo shoot. I learn from this type of engagement, where context informs the work and visa versa. Do you dedicate time in your work to publications or other types of media to make yourself known and increase sales, or do you have someone that helps you? I struggle the most with focusing on a single mode of work. In graduate school for example, I wanted to show that pottery, sculptural vessels, and sculpture can all work together both formally and conceptually. My thesis exhibition showcased all of these modes of work together in a cohesive platform. Now, with a shift into studio practice and teaching, my biggest struggle is to hone in on the best ideas, and produce within reasonable parameters. I think, in time, my portfolio will continue to engage with this diversity of sorts, but in the mean time I think a single mode of work will bring strength to what I do as an artist. What do you like more from your work? I have to remind myself to live in the present, although I have great ambitions as a clay artist. Generally, I want to make more work and grow a larger audience. Tell us how a normal day in your work is. On the days that I can work a full day in my studio, I try to get an early start. My wife Janelle is also a teacher. She shakes me awake early and my role is to get up and make us both espressos. After she is out of the door I check my emails and my photo blog. I try to make daily contributions to the blog. Following this I’m out to work in the garage studio. Sometimes I squeeze in a jog first. I try to get to the studio from early morning to 5pm, but sometimes I get caught up in domestic duties, and my studio time is extended late into the night. 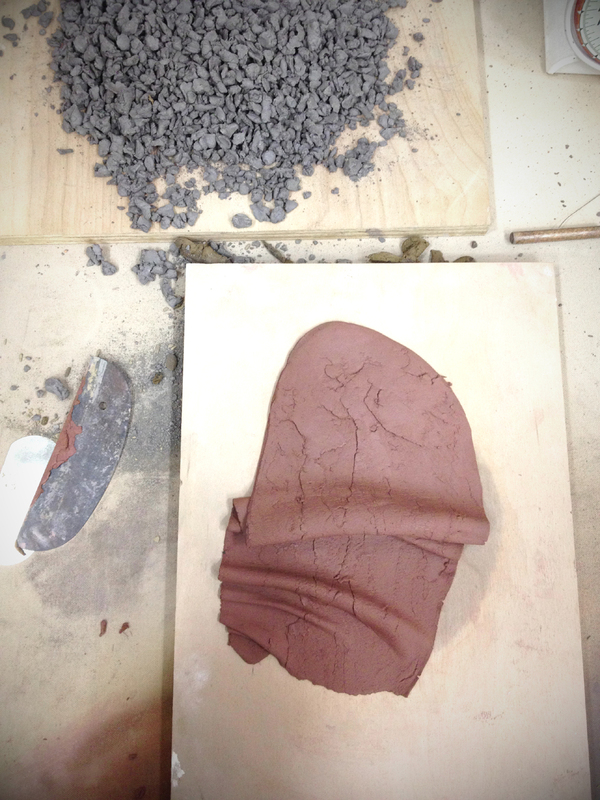 This winter has been my first stretch of work in the new studio, and because it is quite chilly out there, I have been doing a lot of hand building techniques that don’t require getting wet like it does on the potters’ wheel. I cycle through days of primary construction and days of where finishing touches are the main focus. I am also reading a book right now called Daily Rituals: How Artists Work by Mason Currey. If you are interested in the routines of artists and how they structure their day to day lives, I would highly recommend it. Pay attention to what other artists are doing around the world and try to keep up the momentum of your own work.